As most of you might’ve noticed (if you are still around), this blog has been very quiet during April. I had encountered a literary traffic jam and didn’t go anywhere with my writing, which included my blog, my script frenzy and my personal project. In an attempt to try and salvage what is left of my skills, I’m going to go back to basics. I’ve abandoned Script Frenzy (rather adding my written words to my script and seeing if I can make up my page count that way. If I can’t, then that’s alright. If I can – then I’ll be pretty surprised, lol. So, watch this space – I’m not gone yet. I can still remember the day I met her. I was eleven, going on twelve and I was hunting for my birthday present. It was always a serious task, hunting for birthday presents, because I always felt very strongly that I had to get my presents just right. It was before my internet years (and yes – before Facebook, there was such a time) and instead of browsing websites, I used to spend quite a lot of time browsing stores. I wasn’t such a fanatical gamer back then because the computer that we had wasn’t really geared up for anything short of Tetris. I was writing even then so when I did find myself in front of a keyboard I was busy creating my own adventures – not living someone else’s. As it turned out, that year – 1996 turned out to be the turning or rather changing point in my life. I hadn’t meant to go over to the game section but I idled over anyway and randomly picked up a newly displayed box and let it be known that my first encounter with Lara Croft was one of disbelief. I couldn’t believe that they would do something so ‘cool’ as create a female gaming character. This was far beyond Sonya Blade from Mortal Kombat, this woman, this Lara Croft had her very own game. And, after some extreme negotiations which involved almost all of my savings, I got it and thus began a 15 year friendship for lack of a better way of putting it, with the woman we now all know as ‘The Tomb Raider’. Needless to say – I played all of the games in the franchise, some with varying degrees in success. Things changed slowly and at some point, I felt that the games were getting a bit… Lame. Or, not lame, but perhaps I got too used to the course of events and the story. I finished Angel of Darkness with a sense of dread – thinking that there could be nothing left to do for the series. I was so wrong. Crystal Dynamics took over the franchise from Eidos and started a new set of games – starting with Tomb Raider Legend – the 7th game in the franchise. Unlike a lot of fans, who criticized the ‘new Lara Croft’ (they changed her history significantly to make it more parallel with the Angelina Jolie movies) I loved it. I loved the game play, I loved the new side characters and I loved the new Lara Croft. Things were starting to look up again and they just kept getting better with the subsequent release of Tomb Raider Anniversary (the 10 year anniversary of the first release of the game) and the amazing release of Tomb Raider Underworld. I had purchased a PS3 especially just so that I could play the game and I was not disappointed. It was like looking forward to spending time with a good friend and having the visit end of on a much better note than you anticipated. Subsequently, Crystal Dynamics had released one more game to Tomb Raider (and addition to Underworld) which only came out on Xbox. I was crushed, because I began to suspect that – like God of War 3 with the PS3, the next games might only be released to the Xbox system. 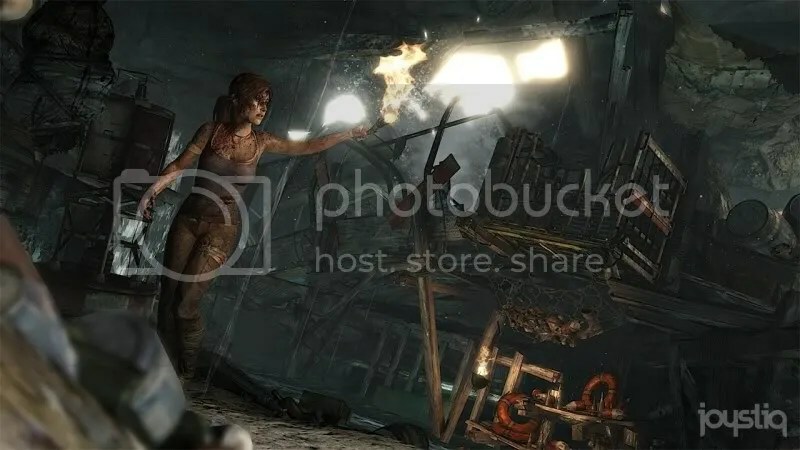 Lara Croft is set to appear in a new game called simply Tomb Raider. I discovered this while I was at work and I couldn’t focus for hours from the excitement. And, it’s to appear on most of the gaming platforms. I’ve seen some screen caps and it looks AMAZING. The release date is set for November 2011 – (if all goes well). And I can’t wait.